And the Tony award for the hottest place to be this weekend goes to…your Broadway Party! 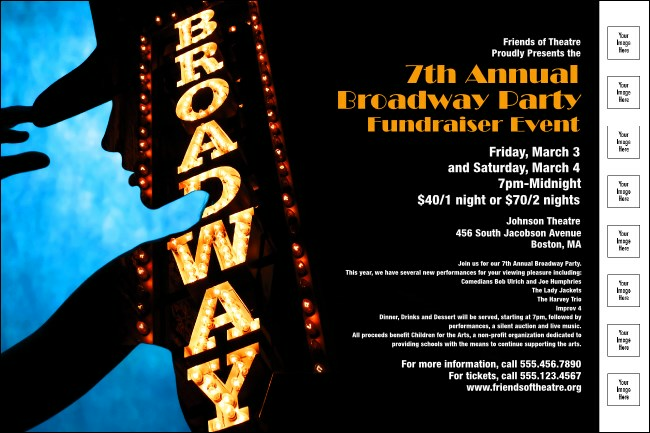 Advertise for your award-winning show with Broadway Poster templates featuring a rich blue, black and orange background. Hit the high note with matching general admission tickets and event collateral. Spotlight your event with TicketPrinting.com.